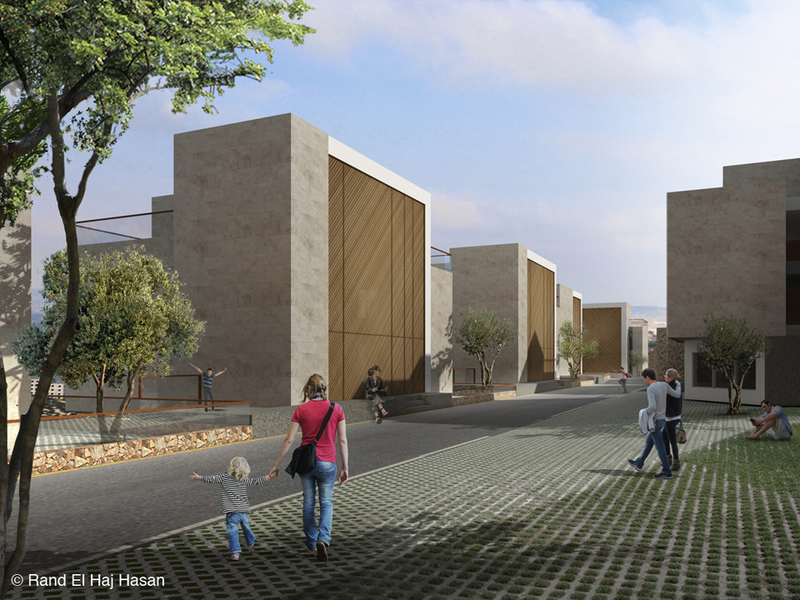 The Amryeh Homes are a neighborhood where architecture is employed to make best use of space and orientation. While paying great attention to the comfort of being at home, the houses also work together to create a place of openness and conviviality. 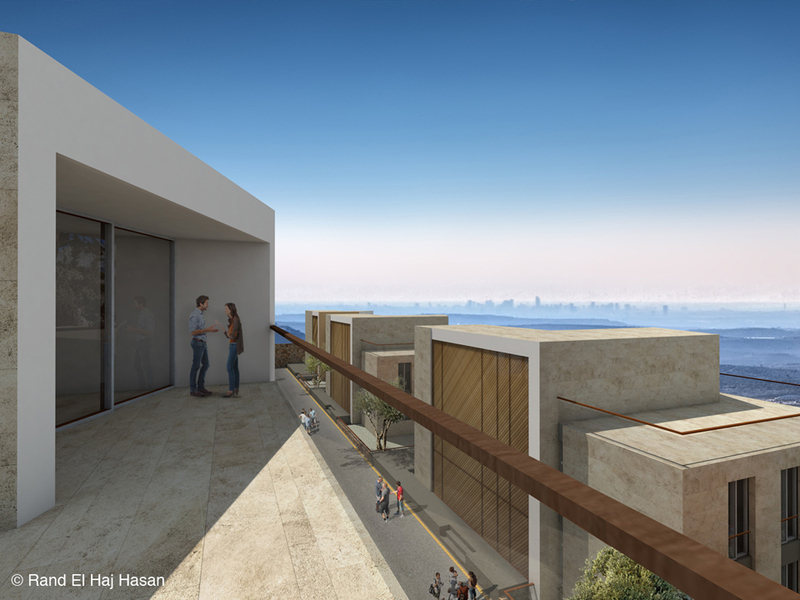 The distribution throughout the site is planned to maximize the view of the Palestinian coast. All daytime use spaces are fully exposed to the view while at the same time respecting privacy through a configuration orienting the openings in one direction and turning the neighbor’s blind walls against the private spaces. 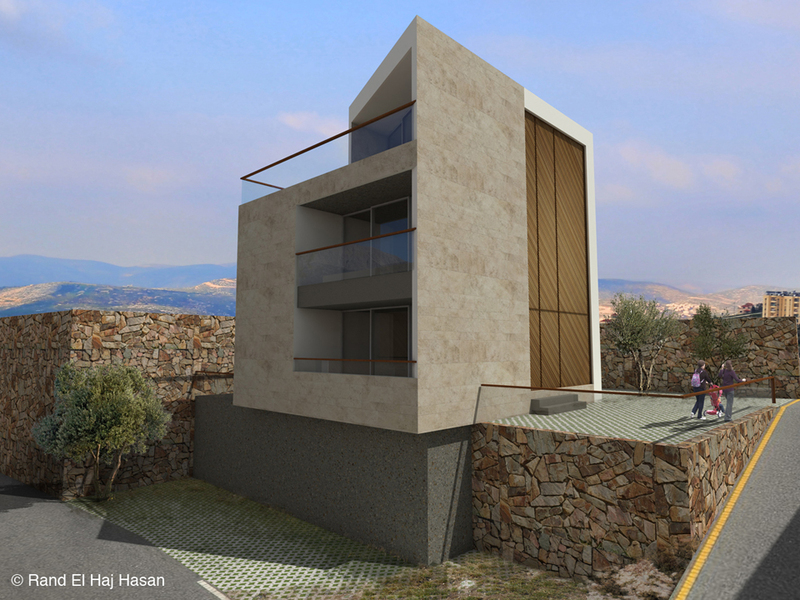 The project provides the market with a variety of real estate options as per the contemporary dynamics of house and apartment construction in Palestine. Homeowners prioritize independent houses; yet know the importance of neighborhood life. Homebuilders build for their families yet also foresee the future extension for their offspring. Apartment buyers accommodate their lifestyle within flats; yet appreciate the low density of single houses neighborhoods. 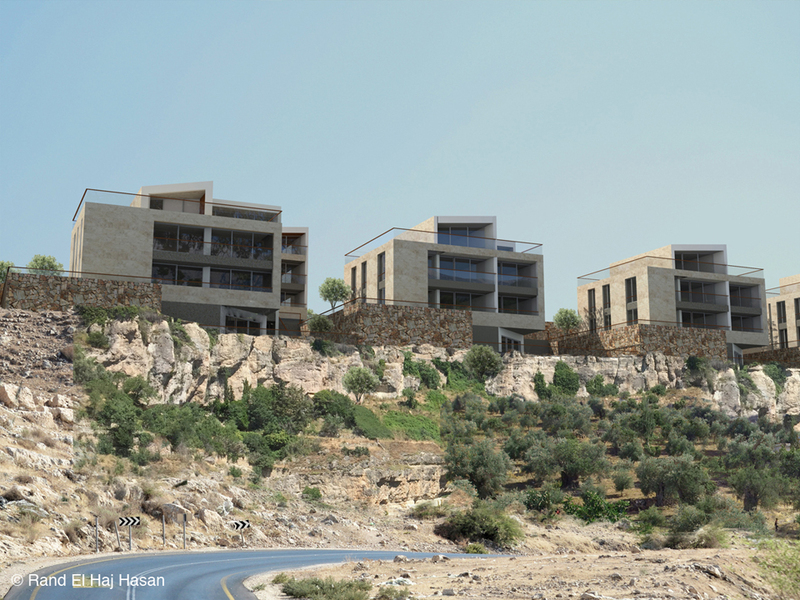 The variety of options in the Amryeh Homes project achieves an overall coherence through a very specific architectural language based on local building techniques. The homes vary between single houses, semi-attached houses and floor apartments within low-density buildings. 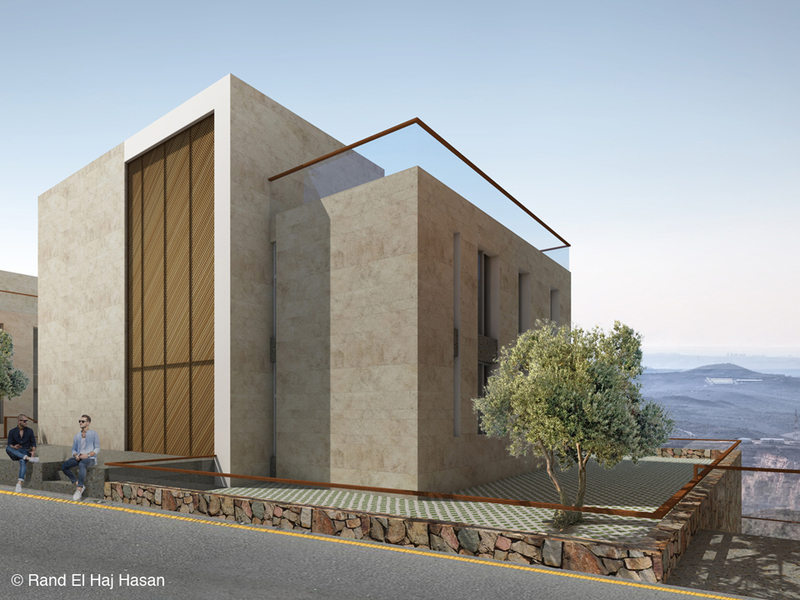 The construction follows a set rule of building and respects a clearly defined palette of materials to sustain a character that is unique to the neighborhood. The diversity in function and land use leads to translating the land’s typography into alternating private and social outdoor spaces. Laterally, the buildings maintain a privacy rule. 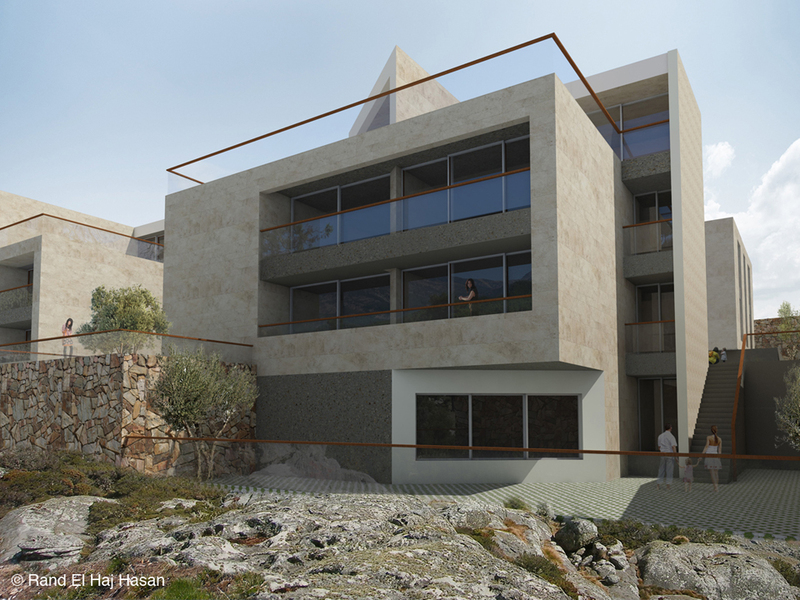 The north façade opens up to balconies and terraces directed towards the view. As the different constructions respect the predefined architectural language, the diversity in home plans result in a variety of configurations within the homes. The architecture makes use of the edge of the cliff to open up entirely and not overwhelm the project with fences. 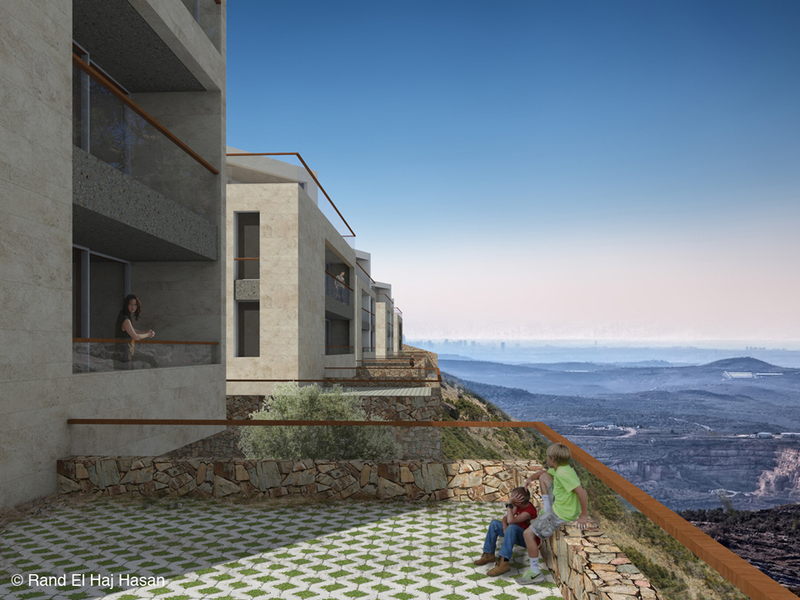 The Amryeh Homes project is a diversity of real estate options designed to respect privacy, to emphasize neighborhood spirit and to prioritize the great location overlooking the Mediterranean.